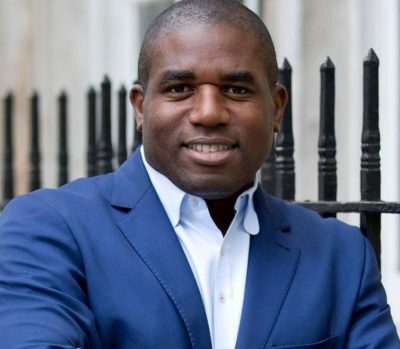 Rt Hon David Lammy MP, author of the Lammy Review launched the 2018 Equity Speaker Series on Wednesday 24 January at the UWE Bristol Exhibition and Conference Centre. Following the talk, 200 delegates enjoyed networking and a Caribbean inspired canape reception courtesy of Calypso Kitchen restaurant , the brain child of UWE Bristol Alumnus Will Clarke. A number of pro-diversity organisations were also in attendance as exhibitors to promote opportunities to BAME students. Equity is an innovative positive-action talent and professional development programme for home-BAME students at UWE Bristol. It was launched in the Bristol Business School and Bristol Law School at the University’s annual Link event in October 2017 which attracted approximately 300 students and professionals. Its principal objectives are the improvement of graduate outcomes specifically in terms of increasing professional employment and self-employment rates as well as supporting them to aim for careers which offer promising earning potential. Equity days take place once a month and include race and identity coaching and workshops entirely facilitated by external BAME professionals and entrepreneurs. Each Equity day concludes with a keynote speaker that reflects the best of British BAME talent.